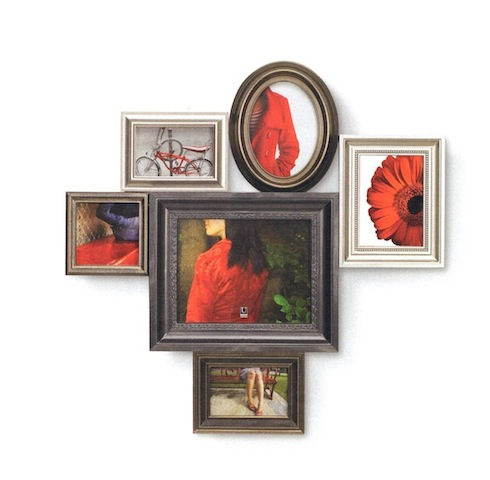 Multi-wall composition of molded eclectic frames. Pewter. Overall 27 x 27". Holds one 8 x 10", two 5 x 7", two 4 x 6", one 5 x 5" photos. Design by Alan Wisniewski.